Diamond Pet Foods has expanded a recall, announced April 6 for certain batches of its Diamond Natural Lamb Meal & Rice dry dog food, to include one production run and four production codes of Chicken Soup for the Pet Lover's Soul Adult Light formula dry dog food. One bag of the product has tested positive for Salmonella, and the company says the recall of the four production codes is a precautionary measure. No dog illnesses have been reported. Chicken Soup for the Pet Lover's Soul Adult Light Formula dry dog food was distributed in Florida, Kentucky, Massachusetts, Michigan, New York, North Carolina, Ohio, Pennsylvania, South Carolina and Virginia, and may have been further distributed the product to other states, through pet food channels. Diamond Pet Foods says it is working directly with distributors and retailers who carry these products to remove them from the supply chain. Consumers who purchased the recalled Chicken Soup for the Pet Lover's Soul Adult Light Formula dry dog food should discard the product. Pets with Salmonella infections may have decreased appetite, fever and abdominal pain. If left untreated, pets may be lethargic and have diarrhea or bloody diarrhea, fever and vomiting. Infected but otherwise healthy pets can be carriers and infect other animals or humans. If pets have consumed the recalled product and has these symptoms, a veterinarian should be contacted. 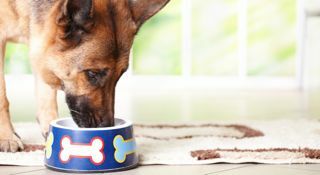 Individuals handling dry pet food can become infected with Salmonella, especially if they have not thoroughly washed their hands after having contact with surfaces exposed to this product. Healthy people infected with salmonella should monitor themselves for some or all of the following symptoms: nausea, vomiting, diarrhea or bloody diarrhea, abdominal cramping and fever. According to the Centers for Disease Control, people who are more likely to be affected by Salmonella include infants, children younger than 5 years old, organ transplant patients, people with HIV/AIDS and people receiving treatment for cancer. Pet owners who are unsure if the product they purchased is included in the recall, or who would like replacement product or a refund, may contact Diamond Pet Foods at 800-442-0402, or by visiting www.chickensoupforthepetloverssoul.com/information. On April 8, Diamond Pet Foods temporarily suspended delivery of all products made at its Gaston, S.C., plant. Good work on the article about fish. It made me think a bit more about the topic. Perfect post about pets. This is what I was looking for. This is perfect! Excellent read about cats. Excellent work with the article cabouting pets. Good blog post about parakeets. Great work on the article about parakeets. It is very high quality work. Thanks for this blog post on parakeets. I learned a lot! I appreciate your article on animals. I really liked the post on rabbits. Thanks! This is just what I was looking to read. Thanks for the article about pets. However, I've read better articles on dogs. That was a quality article on dogs. Thank you for this post. I have a hard time finding good content related to my pet. I admire the way you discuss the issues. Great article about animals. This is precisely what I was looking for. It's hard to come by good, quality writing like yours. Good read and a great article. Thanks for the information on pets. I have a hard time finding good content related to pet health. Nice work on the article about animals. I'll email it to my friends! Keep the articles on pet health coming. Great introduction and information on cats. I appreciate the way you present the article. Good job with the detailed post on turtles. I really liked it. This is an important subject. Good work and a good read with the article on animals. I tend to agree with most of what you said in your post but I did post something related on my blog a while back. I really liked the read on the post on dogs. A lot of comments on this site show there is much ignorance about my pet. I admire the way you present the information. This post about cats was so good that I'm going to email it to my brother! I just sent this post to a bunch of my friends – I agree with most of what you’re saying here. Fantastic job on the article about parakeets. I really learned a lot from it. You certainly deserve a round of applause for your post and more specifically, your website in general. Very high quality material. 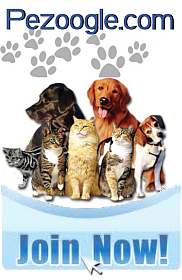 Your facts and understanding of pet health show you have a lot of experience. While I agree with your opening statement, I don't agree with everything. Thanks for the good post. It answered all the questions I had about fish. Can you point me to more articles on pet health? 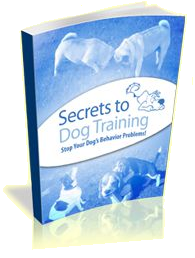 A good read with the article on dogs. I'd definitely recommend it. Thanks for this article. I have a hard time finding good content related to safety. I am new to this site and just wanted to say "Hi" to everyone. I also run a blog that may be of interest that I’d love to share with you. Thanks for the article about pets. It was clearly written and interesting. However, I think you need to do a bit more study on the topic. Excellent work on the post about cats. I'm researching the subject of safety. I appreciate your article on cats. I really liked the article on animals. Great topic! I think you take this matter pretty seriously. The information you've presented is awesome! Thanks for the post about animals. Informative and it answered all my questions. Your articles on dogs are the best I have seen so far. Excellent work on the article on dogs. I'll recommend it to my friends. Can you point me to more articles on safety? Thanks for this post. I have a hard time finding good content related to this subject when searching most of the time. Great conclusion to the article about pets. It made a lot of sense. Good work on the article about cats. It was of high quality and really talked about the topic nicely. Please write more my pet content. I admire the way you explain things. Your article has cleared things up for me. Great work on animals. I liked the middle part – it answered a lot of the questions I've had on the subject. Thanks for the informative article on pet health. I just book marked your blog on Digg and StumbleUpon. I enjoy reading your articles. I'm looking into safety for my neighbor. I think you take my pet a bit too seriously. Thanks for the article talking about cats. I liked it! I'm helping my son research safety for school. Good article on pets. It kept me reading from start to finish. I just sent this post to a bunch of my friends – I agree with most of what you’re saying here and the content is good. I agree completely with everything you have said.